Former President Bill Clinton will headline Tuesday’s opening session of the 2011 National Charter Schools Conference in Georgia where the state has become a national battleground over alternative authorization of public charter schools. The 42nd President will receive the inaugural Lifetime Achievement Award and deliver an acceptance speech to 4,000 attendees. It is entirely coincidental that the year’s biggest annual charter schools conference is being hosted in Atlanta about one mile from the state Supreme Court. Last month a one-vote majority of the state high Court’s seven justices declared that the state Charter Schools Commission is unconstitutional, ending a three-year experiment with alternative authorization. Implications from the Georgia Supreme Court decision and the path forward will be discussed Tuesday afternoon during a conference session in the Sidney Marcus Auditorium. Scheduled panelists include Georgia House Speaker Pro Tem Jan Jones who was the chief sponsor of 2008 legislation that created the state Charter Schools Commission. Speaking off-the-record, two sources who are familiar with behind the scenes events said the combination of new charters with acceptable funding will probably not happen for some schools that received 2011– 2012 year approval from the state Charter Schools Commission. Sixteen schools that planned to enroll as many as 16,000 students were affected by the Court’s opinion. Georgia Cyber Academy and its brick-and-mortar cousin Odyssey School received state board of education charters on June 9. DeKalb County offered one-year temporary charters to The Museum School of Avondale Estates and Peachtree Hope Charter School. Ivy Preparatory Academy turned down a Gwinnett County charter because of unequal funding. The state board is expected to vote next Tuesday on charter applications from any schools that still want one. Thousands have traveled to stifling hot and humid Atlanta for the 2011 National Charter Schools Conference at the Georgia World Congress Center. 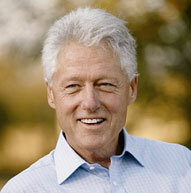 Former President Clinton will be honored for kick starting the public charter schools movement. The number of public charter schools grew from one prior to his 1992 election to more than 2,000 during his Presidency. Tuesday morning’s general session will include musical performances by eighth grader Mariana Guzman from Ivy Prep Academy in Georgia and Pride Percussion ensemble which represents Pine Lake Preparatory, the largest charter school in North Carolina. Other Tuesday speakers are Success Charter Network founder Eva Moskowitz and Newark, N.J. Mayor Cory Booker. U.S. Education Secretary Arne Duncan will appear by teleconference Wednesday. This year Georgia will receive the first of four $100 million annual Race to the Top grants from the U.S. DOE which approved Georgia in part because of leadership in the charter schools movement. Children’s Defense Fund founder Marian Wright Edelman will also speak Wednesday and the Junior Academy Dance Ensemble of Atlanta’s Drew Charter School will perform. 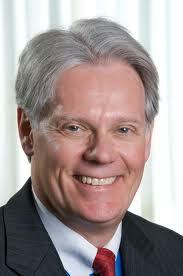 The conference will conclude with a rally Thursday morning at the State Capitol. Click here to learn more about the 2011 National Charter Schools Conference.